After introducing the second-gen Renault Duster last year, Renault will introduce a C-segment crossover this year. Like the Renault Kaptur (Renault Captur), this model will go on sale in Russia first. The 2018 Moscow International Motor Show will stage its world premiere in August. Russia, Brazil, China and South Korea are the confirmed markets of the new Renault C-segment crossover. The new Renault C-segment crossover is of a new body type, Renault had confirmed last year. It is understood from media reports that it is a coupe-styled crossover. This model will probably arrive as one of the first coupe-styled C-segment crossovers from a mainstream mass-market brand. Renault will create two different versions of the new C-segment crossover, a high-spec version targeted at the developed markets like France and an access-spec version targeted at emerging markets like Russia. The former is likely to ride on the advanced CMF-C/D platform, while the latter will likely utilise the low-cost B0/Logan platform as its basis. The Renault Moscow plant, which will start manufacturing the new crossover first, already builds three models on the B0/Logan platform - Renault Duster, Renault Kaptur and Nissan Terrano. Like it does for the Renault Kaptur and Renault Captur, the company will leverage its dual-spec platform strategy for its new C-segment crossover. Renault will launch the new C-segment crossover globally in 2019. 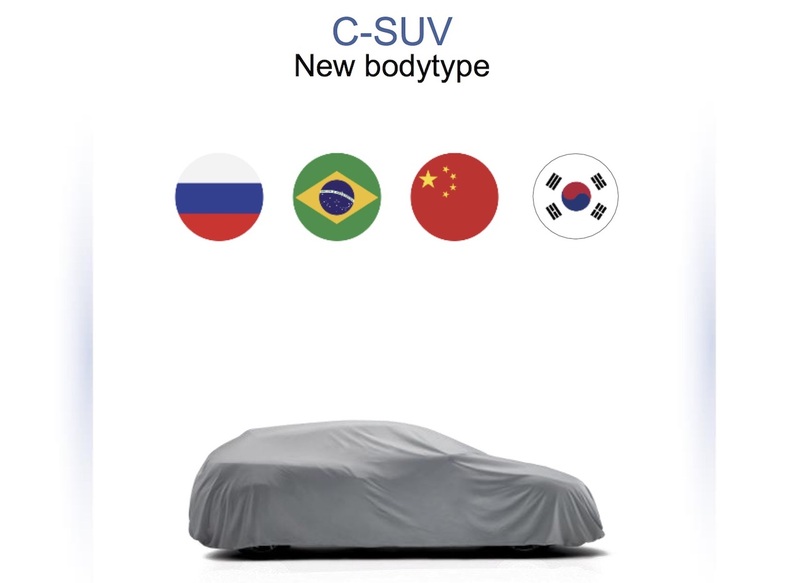 In addition to Russia, the company has confirmed Brazil, China and South Korea as the markets where it will offer this model.